SM or Shoemart started out selling shoes. Then it evolved into a department store, then a supermarket, then a mall. Now inside the supermarket, they further evolved it by offering fast food. What's great about this venture, they offered cost-effective priced meals. These meals are a great help for people who like to spend less and save more. Now you may assume that these meals would be tasteless, no meat kind of concoctions but these are surprisingly good. Not most meals offered of course are but the one I ordered was. This time I ordered the baby back ribs meal that costs Php85. What? 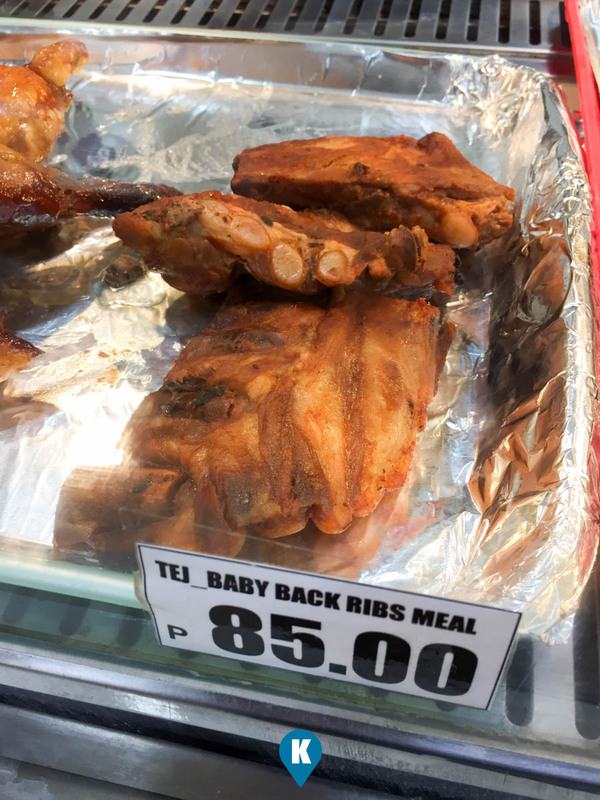 a baby back rib meal for under Php100? Yes, unbelievably its true. I had to taste this combo meal so I was excited to taste this. Now aesthetic wise, it fails in presentation. 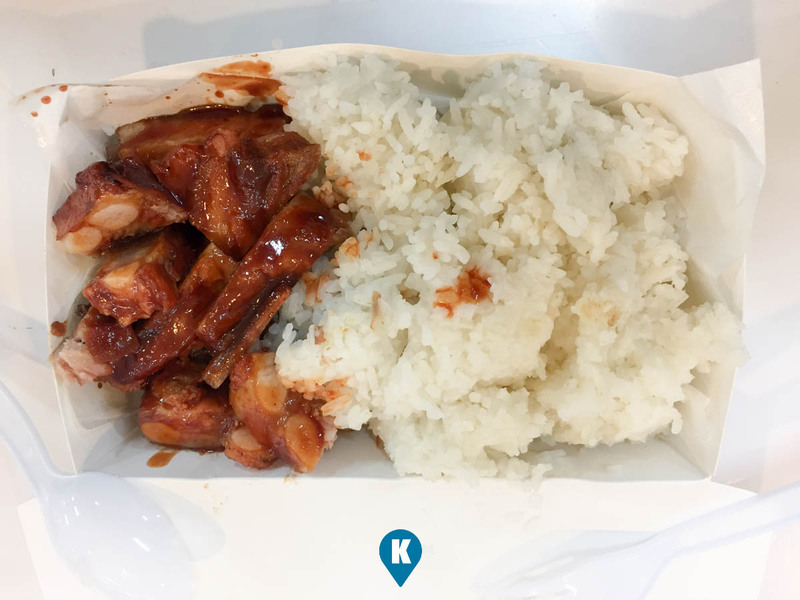 As shown above, its just rice placed on one side, then the chopped baby back ribs on the other. The plate is just a plain box, lined with wax paper of sorts. Then a pair of plastic spoon and fork accompanies the meal, the things that break if you are not careful. I later found out that ordering this meal is not compatible with the plastic utensils. You will learn this when you start eating, those things break easy. Tastewise, the BBQ flavor is just right to my liking. Not that spicy, not that sweet either. Just right it is. Ample amount of sauce will not leave you wanting. Porkwise, it offered a good amount of serving. Just remember though that the baby back ribs portion is mostly bone so don't expect much meat. Although you're buying it uncut, so you will assume you're getting more, so when they cut it up in serving portion, you will see more bone than meat. Dining wise, you will have to contend with a dining area that's a few tables and chairs. SM Eats is not a fast food joint nor a food court so expect to eat your food fast and go. 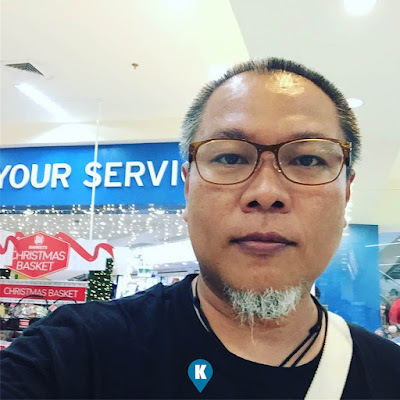 Now that mindset is not known to most people. Some think that these are like park benches and they stay for long periods of time. So when you order from them, your next focus is finding a spot for you to eat. Now it seems that these meals are a hit so expect to see them evolve still. Order the baby back rib meal if you are hungry and need a fill'er up. Now if order the meals worth Php50, then these are just delaying your hunger, long enough to reach home and eat normally.